What if Anton Chekhov, undisputed master of the short story, actually wrote a novel -- and the manuscript still existed? 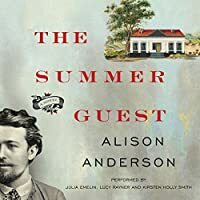 This tantalizing possibility drives "The Summer Guest," a spellbinding narrative that draws together, across two centuries, the lives of three women through the discovery of a diary. During the long, hot summer of 1888, an extraordinary friendship blossoms between Anton Chekhov and Zinaida Lintvaryova, a young doctor. Recently blinded by illness, Zinaida has retreated to her family's estate in the lush countryside of Eastern Ukraine, where she is keeping a diary to record her memories of her earlier life. But when the Chekhov family arrives to spend the summer at a dacha on the estate, and she meets the middle son Anton Pavlovich, her quiet existence is transformed by the connection they share. What begins as a journal kept simply to pass the time becomes an intimate, introspective narrative of Zinaida's singular relationship with this doctor and writer of growing fame. More than a century later, in 2014, the unexpected discovery of this diary represents Katya Kendall's last chance to save her struggling London publishing house. Zinaida's description of a gifted young man still coming to terms with his talent offers profound insight into a literary legend, but it also raises a tantalizing question: Did Chekhov, known only as a short story writer and playwright, write a novel over the course of their friendship that has since disappeared? The answer could change history, and finding it proves an irresistible challenge for Ana Harding, the translator Katya hires. Increasingly drawn into Zinaida and Chekhov's world, Ana is consumed by her desire to find the “lost” book. As she delves deeper into the moving account of two lives changed by a meeting on a warm May night, she discovers that the manuscript is not the only mystery contained within the diary's pages. 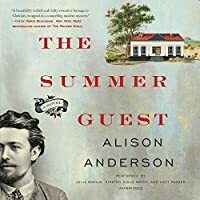 Inspired by the real friendship between Chekhov and the Lintvaryov family, landowners in the Ukraine, "The Summer Guest" is a masterful and utterly compelling literary novel that breathes life into a vanished world, while exploring the transformative power of art and the complexity of love and friendship.